Do you remember the ONE big thing you wanted every year? You saw commercials about it and told your friends about all of its features, and how you were going to use it. I just got mine, the Synology Disk Station 210+, and I’m not the only one, Synology is so excited about it, it’s the first item on their homepage. 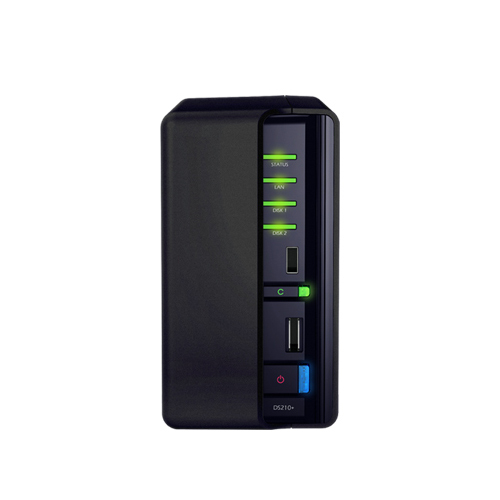 At it’s base level a NAS (or Network Attached Storage) is an external hard drive connected through an Ethernet port to your entire network. On its own that has amazing possibilities, but Synology has taken it above and beyond. The box has the slogan A “New NAS Experience”. Join me as we see exactly what that means. Great post! Network Attached Storage is becoming very popular for domestic application. The site http://www.besthomenas.net can give you detail information regarding features for NAS to be used in the family to share digital files. Cheers, Marc.